Is your business hard to find online? Would you like to increase valuable organic traffic visiting your website? Are you unhappy with where your site is ranking in the search engine results? If your answer to any (or all) of these questions is ‘YES!’ then it is time to invest in search engine optimization for your business! Not sure what SEO services you need? Schedule a free 15-minute SEO Consultation and we’ll chat about your needs and budget. Why Choose Mannix for SEO? At Mannix, we’ve been providing expert SEO services since before Google existed! We understand what it takes to get your business found on the web and we’ll break down the art and science behind SEO to make it accessible for you. Would you like a Free SEO Analysis? To kick off your SEO program, we get to know your business from the person who knows it best: YOU. Our digital marketing strategists will work with you to gather insight about your products and services, your customers, your pain points, and your goals so we can tailor our SEO services to meet your organization’s specific needs. Before taking action to enhance your website’s SEO friendliness, we delve into analysis. Our team will take a look at a variety of factors, reviewing your competitors, auditing your site’s current status, and investigating what will have the biggest impact when it comes to enhancing your business’ web presence. With search engine optimization, there is no one-size-fits-all recipe for success. Based on our understanding of your business and our analysis of your current web presence, our team will develop a strategy that’s unique to your business to guide our SEO and digital marketing efforts moving forward. Keeping our overarching strategy and your goals in mind, we will begin the process of transforming your web presence. Our team will create new site content, address existing technical issues on your website, suggest design edits to improve engagement, and more, all with the intent of improving your site’s performance and bolstering your business’ online presence. Throughout the SEO program, we’ll perform ongoing analysis to monitor progress, identify new optimization opportunities, and ensure that our search engine optimization efforts are having the impact we had hoped for. We’ll report our findings and share any new developments, keeping you in the loop every step of the way. SEO takes time. As we implement new tactics, collect data, and track results, we’ll continually refine our marketing strategy to ensure that our focus remains on the action items that will get you the most bang for your buck. With a finger on the pulse of your SEO program, we’ll make appropriate adjustments as we go. Tell potential customers what your business is all about. Our copywriters are skilled in crafting reader- and search engine friendly content that captures the essence of your brand and holds the attention of online consumers. Reach your target customers with pay per click advertising. Our paid search specialists will help you get your business’ online ads in front of the right consumers at the right times so you can increase brand awareness and generate leads. This is a strong marketing tool, particularly when paired with Monthly SEO services. 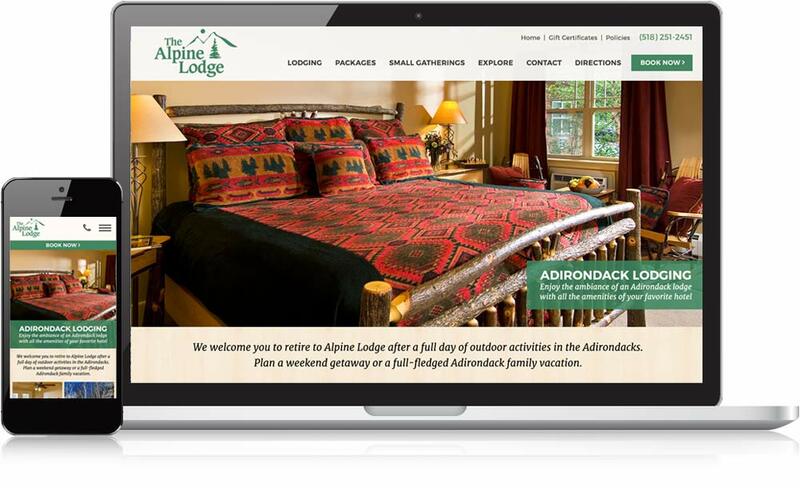 Showcase your business online with a website that makes a strong first impression. Our design team will take your vision and craft it into a functional website design that highlights your business’ strengths and appeals to your customers. Invest in a website that’s logically constructed, easy to update, and built to last. Our skilled programmers and developers know what it takes to create responsive websites that are fast loading, search engine friendly, and easy for users to navigate.